Welcome to the Trading Depot underfloor heating page, where we have a variety of different types of underfloor heating systems available including electric and hot water. If you are looking to make your home lovely and warm during the colder months and are interested in an underfloor heating system, then you have come to the right place. 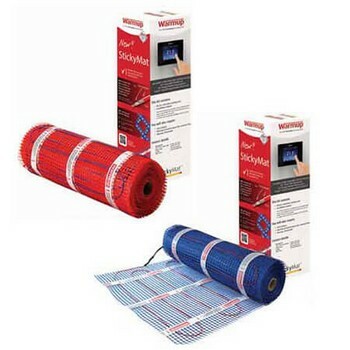 We offer some of the best underfloor heating systems available on the market and at highly competitive prices. Get rid of that bulky wall mounted radiator that is not energy efficient and browse our underfloor heating store today. Which Underfloor Heating System Do I Need? Thinking of purchasing underfloor heating for your home? Which one to choose from electrical or hot water? Underfloor heating is available in two different types and both applications can be used in almost any floor type. It can either be a ‘wet’ system pumping water through pipes under the floor or a ‘dry’ system generating heat through electric coils placed under the floor. Your choice of underfloor heating is down to the type of installation. Electric Underfloor Heating is better suited for certain projects whereas Hot Water Underfloor Heating for others. The main advantage of underfloor heating is that it’s hidden away due to the installation being under your floor, you also gain instant wall space that your radiators would usually take up. Underfloor heating is also more cost effective and economical to run in comparison to radiators within your home, whereas the underfloor heating system distributes heat more evenly as the water that runs through the pipes on a wet system doesn’t need to get as hot. This allows your boiler to run more efficiently, therefore being cost effective - another reason to purchase underfloor heating for your home! Trading Depot has many different underfloor heating systems available, no matter what type of flooring you are looking to install, and in any room in your home. You can have bathroom underfloor heating, underfloor heating in the kitchen, and for a variety of different flooring materials including laminate, carpet, and wooden floors. Whether you are looking for underfloor heating for wooden floors or any other type of flooring, Trading Depot have you covered, and we have the best underfloor heating system for your home. If you are looking for an underfloor heating system and you are not sure what would be best, you can always use our online contact form to contact us, and one of our knowledgeable representatives will be happy to answer any questions that you may have. If you are looking for under floor heating and looking to compare costs, Trading Depot aims to give all our customer the very best price possible. With the range of products that we have available and the prices that we offer, we have become one of the leading underfloor heating suppliers in the UK. We are that confident in our prices for our UK underfloor heating systems that we offer a price promise. If you look at the underfloor heating price on our website and you can find the same products cheaper from somewhere else, fill in our Basket Price Challenge form, and we will endeavour to beat it for you, it is that simple! Trading Depot can supply underfloorheating to both trade and retail customers, so everyone can benefit from our excellent prices. If you want to buy underfloor heating, our underfloor heating section has everything that you could need to make the heating in our home more efficient. We can also deliver our underfloor heating systems UK wide, so no matter where you live in the UK you can also enjoy our low prices, whether you are looking for underfloor heating for a bathroom, kitchen, living room, or any other room in your home. Underground Heating, Electric Or Water? When you are choosing a system to give you underfloor heat, there are two main choices available which are electric and water. The best solution for your property is going to depend on the budget that you have and the efficiency for which you are looking. An electric system works by running an electrical current through a thin wire and can heat your home very quickly. A water-based system, also known as hydronic, has water pipes under the floor and warm water that comes from your boiler and warms your home slower. However, a water-based system is complicated to install, but it is more efficient to run. An electric system is more straightforward to install but will cost more to run on a yearly basis. 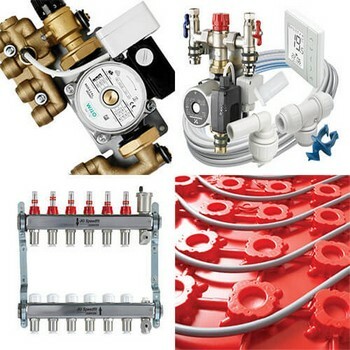 Before purchasing your underfloor heating UK system, you will need to decide which one will work best for your home. At Trading Depot, we not only pride ourselves on the variety of stock that we offer but also on the quality of service that we provide all our customers. When you order any of our products, you can either have them delivered to you directly or collect them from our depot between 8 AM and 5 PM which is located at Unit 3, Furze Platt Business Centre, Maidenhead, Berkshire, SL6 7RN. If you have any questions about any of our products or services, you can call us and speak to one of our friendly and knowledgeable members of staff on Tel: 01628 760 440. Alternatively, you can also use our online contact form to contact us, and we will respond promptly. Whether you are a trade or retail customer, Trading Depot is one of the leading suppliers for a underground heating system in the UK and provide exceptional quality products, at highly competitive prices. Call us today and see how much money you can save on your next home project. We pride ourselves on the service that we give to all our customers, and if you have any questions about our products, delivery, or our price match service, we would be happy to assist you. You can use our online contact form to ask us a question or call us directly on Tel: 01628 760 440 and one of our friendly and knowledgeable advisors will be happy to assist you. Whether you are a trade or a retail customer, when you have a new project and need supplies and equipment, come and see how much money you can save at Trading Depot.